The Library has arranged further database trials for Chinese Studies.To access these trials, please go to the Library’s e-resources trials page and scroll down to find these entries. 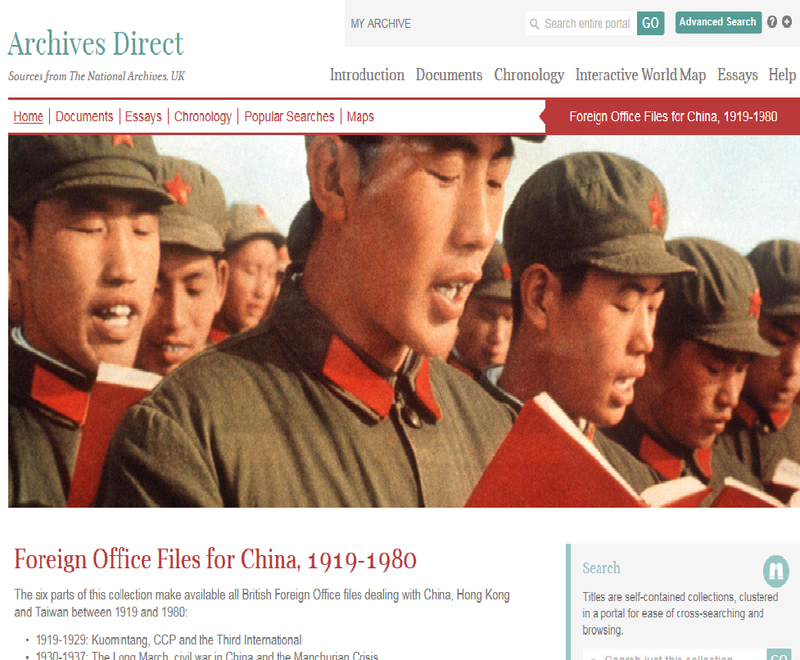 Foreign Office Files for China provides access to the digitised archive of British Foreign Office files dealing with China, Hong Kong and Taiwan between 1919 and 1980. The complete files consist of six parts. We have purchased full content for the three parts covering 1949-1956. Files between 1919 and 1948 are now under trial which cover the following parts: 1919-1929: Kuomintang, CCP and the Third International; 1930-1937: The Long March, civil war in China and the Manchurian Crisis; and 1938-1948: Open Door, Japanese war and the seeds of communist victory. The formerly restricted British government documents include diplomatic dispatches, letters, newspaper cuttings, maps, reports of court cases, biographies of leading personalities, summaries of events and other diverse materials. Spanning three centuries (c. 1750-1929), this resource makes available for the first time extremely rare pamphlets from Cornell University Library’s Charles W. Wason Collection on East Asia, one of the oldest and most distinctive collections of its kind and a very rich source for research on China for teachers and students from undergraduate-level to research-level and beyond. 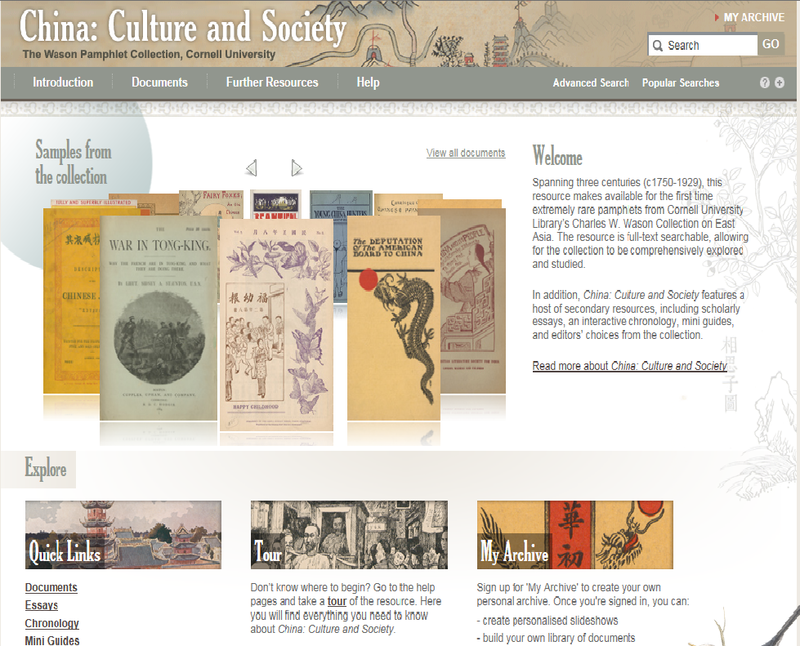 Digitised in its entirety and in full colour, the Wason collection of c. 1,200 pamphlets encompasses speeches, guides, reports, essays, catalogues, magazine articles and other material addressing Chinese history, culture, and everyday life. The resource is full-text searchable, allowing for the collection to be comprehensively explored and studied. The wide variety of research interests and themes covered by the pamphlets include education, emigration, the foreign presence, missionaries, wars, rebellion, reform, opium, healthcare and language. *Please note that PDF download options are not available during trials.